Looking for inspiration? Let us deliver weekly offers right to your inbox. 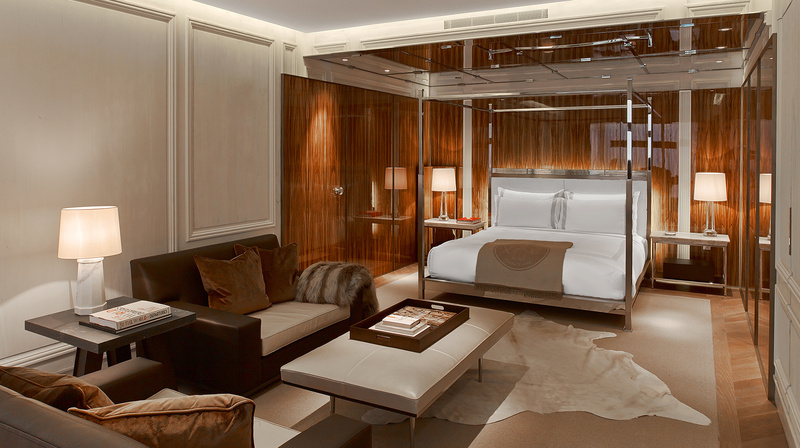 Savor warm days and starry English nights when you check into Forbes Travel Guide Five-Star The Connaught this season. Book a three-night escape at this posh Mayfair property and enjoy a fourth gratis evening to linger longer in the capital. Spend those extra hours sipping afternoon tea at Jean-Georges, exploring nearby Hyde Park or toasting to your trip in the intimate champagne bar. Valid for stays through April 22, 2019, and from July 15 to September 8, 2019. Blackout dates apply. 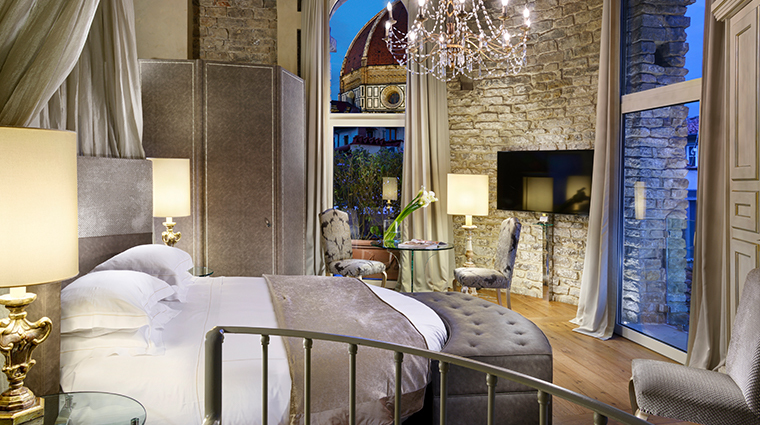 Enjoy the flavors of Florence when you take advantage of the Fine-Dining Experience at Forbes Travel Guide Four-Star Hotel Brunelleschi. In addition to a night of elegant accommodations at the boutique property, you’ll also savor a full American breakfast by day and a tantalizing tasting menu — complete with wine pairings — by night at Santa Elisabetta Restaurant curated by the property’s executive chef, Rocco De Santis. 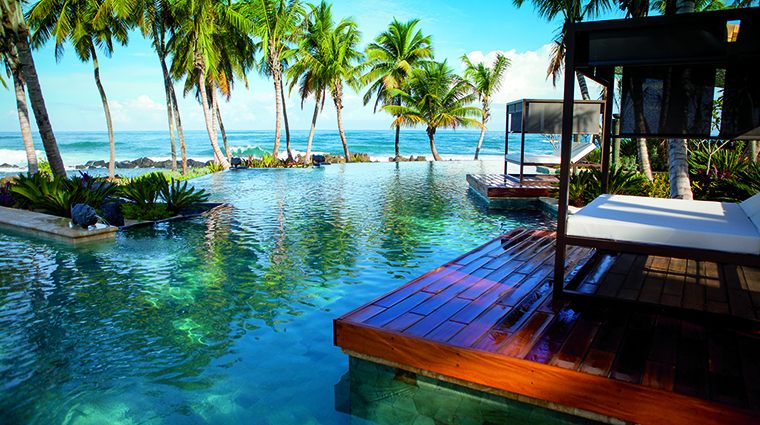 Closed since Hurricane Maria struck Puerto Rico in September 2017, Dorado Beach, A Ritz-Carlton Reserve has reopened in glorious fashion with 114 remodeled rooms, new restaurants, a fresh boutique and more than 300,000 tropical plants scattered about the picturesque grounds. To celebrate the triumphant return, the Forbes Travel Guide Five-Star property is offering a special rate (with complimentary breakfast) through October. And looking beyond that, the hotel promises special room deals during the Thanksgiving and Christmas seasons, too. Explore the outdoors from the comfort of your stylish digs when you book Forbes Travel Guide Four-Star The Ritz-Carlton, Denver’s City Camper Experience. 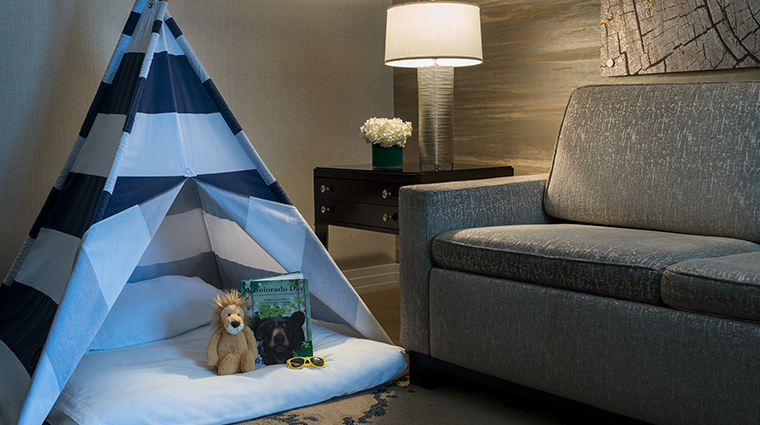 Your tiny travelers can set themselves up under an in-suite tent stocked with a Colorado wildlife story book, a plush stuffed animal, Ritz Kids sunglasses and coloring books. And don’t forget the treats — s’mores cupcakes or sliced apples with hot caramel sauce and nuts add a sweet end to their urban adventure. 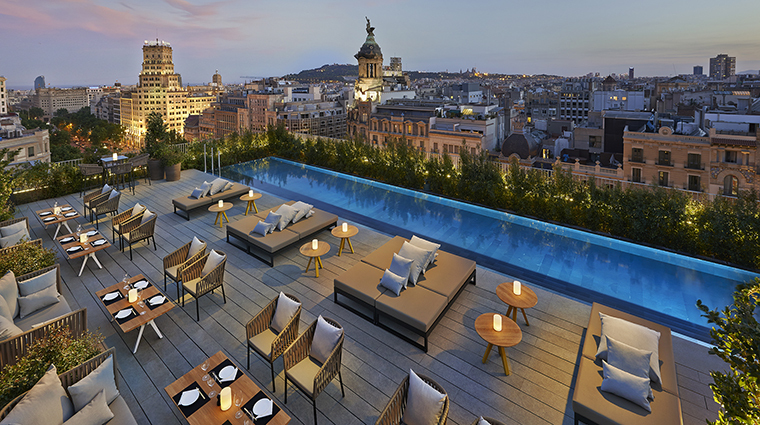 Rise and shine like a VIP when you take advantage of Forbes Travel Guide Five-Star Mandarin Oriental, Barcelona’s Bed & Breakfast package. With this offer, you’ll gain all the fuel you need before hitting the neighboring ultra-luxe shops on Passeig de Gracia. 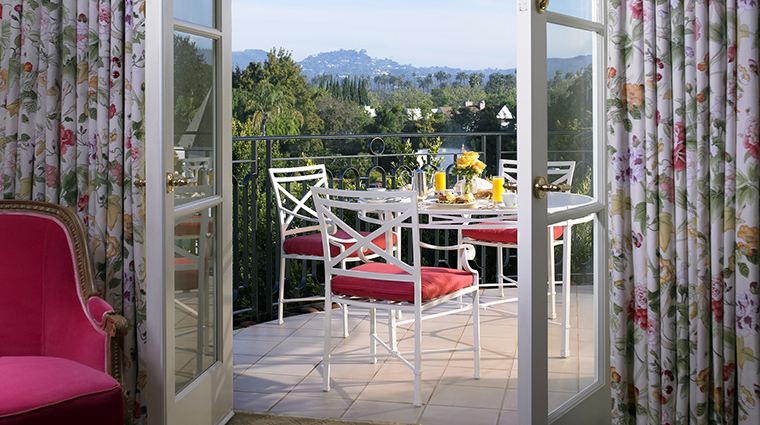 Nosh on the complimentary morning spread in the comfort of your stylish private accommodations (dining on the balcony is highly recommended) or in the light, airy Blanc restaurant. 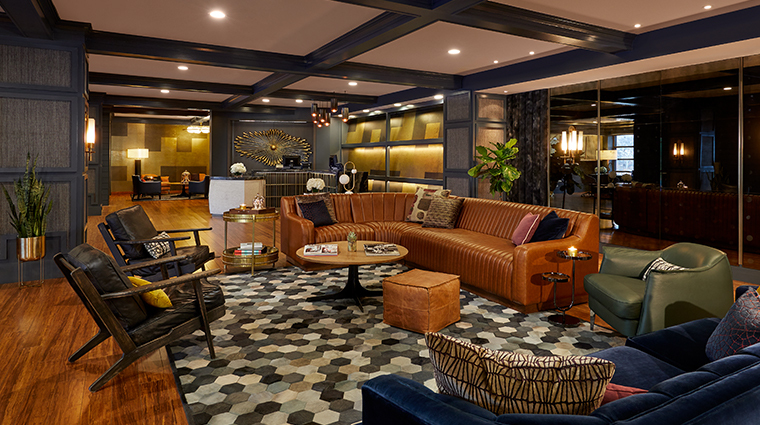 A thoroughly stylish stay awaits in Nashville when you book the Suite Getaway offer from Forbes Travel Guide Four-Star Hutton Hotel. Not only will you receive 15 percent off a two-night escape in a sumptuous suite, but you’ll also earn a $100 credit to spend on savory Southern fare and creative cocktails at Four-Star WestEnd Kitchen & Bar as well as a complimentary airport transfer. Your Music City visit will have a true VIP feel. 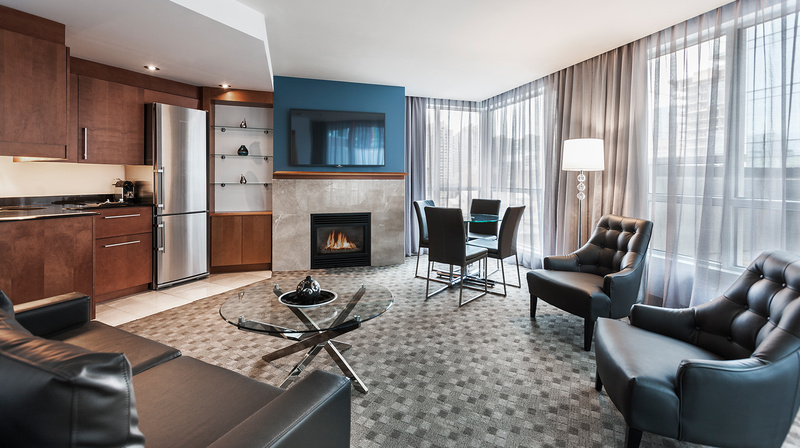 Enjoy a chic boutique retreat in the heart of Montreal when you book a stay at Forbes Travel Guide Recommended Hotel Le Crystal. This fall, savor the season with the property’s Sweet Deal offer to receive 50 percent off your second night in a spacious open-concept suite that comes complete with a cozy fireplace. Other perks include 3 p.m. late checkout and a coupon booklet filled with up to $500 worth of discounts on local activities and attractions. 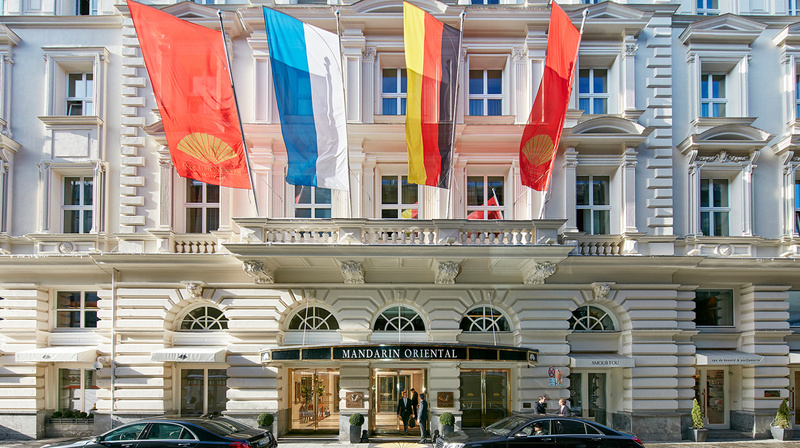 High end meets high octane in Germany, where Mandarin Oriental, Munich wants to help you cruise into your next vacation. Book the Forbes Travel Guide Five-Star hotel’s German Autobahn Adventure offer to explore Bavaria’s beautiful roads in the comfort of a BMW i8. In addition to your enviable ride, you’ll also enjoy a daily breakfast for two, a BMW-themed welcome amenity and a visit to the excellent BMW Welt exhibition center and museum to maximize your car knowledge. Driver must be at least 25 years old, with a valid driver’s license owned for three years. The 24-hour rental is provided by Sixt; rental, terms and conditions apply. Insurance deductible is EUR 4,100. 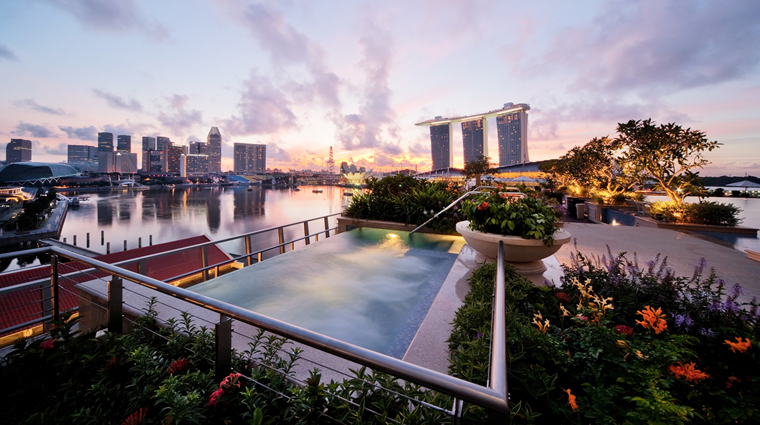 Singapore has been one of the year’s hottest destinations. 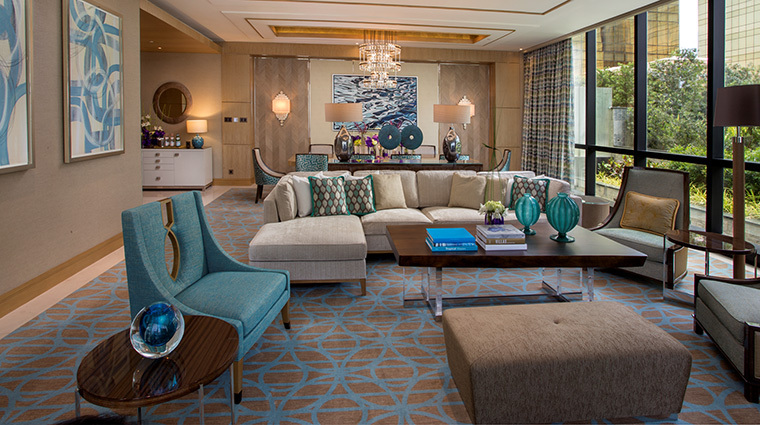 To see it in grand style, book a stay at Forbes Travel Guide Five-Star The Fullerton Bay Hotel Singapore. The hotel’s Staycation By The Bay package will give you water views, techy touches and 12 percent off the best available rate. Plus, you’ll also be gifted with daily buffet breakfast for two, a dining credit and an adorable Fullerton Bear as your Singapore souvenir. Blackout dates apply. A 30-day advanced booking is required. Escape winter’s chill with a Hawaii getaway. 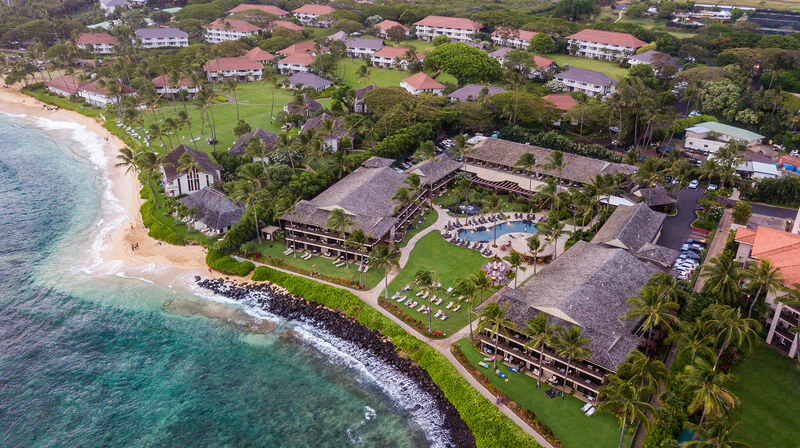 Kauai’s boutique beauty, Ko’a Kea Hotel & Resort, is serving up a mouthwatering offer. Book the Warm Aloha Spirit Experience to receive a $75 spa credit, daily breakfast and dinner for two at Red Salt, an enticing local eatery offering up sea views and island flavors like Madagascar-vanilla-bean-seared mahi with forbidden black rice. 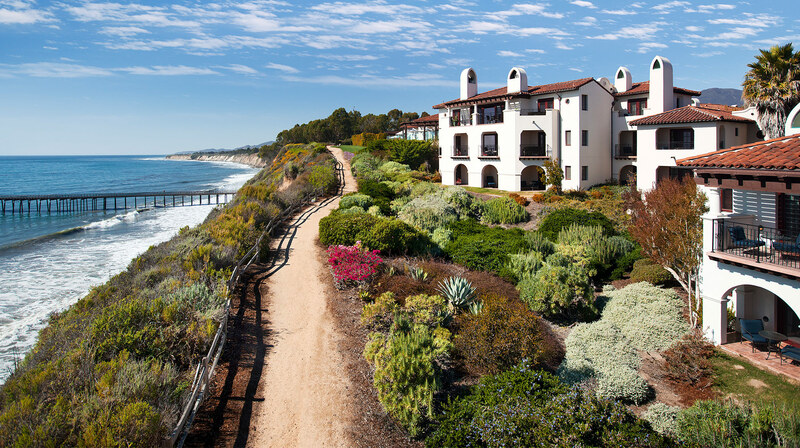 Bask in 78 acres of oceanfront opulence when you book The Ritz-Carlton Bacara, Santa Barbara’s Best of Bacara offer. Reserve a three-night escape at this coastal Californian gem and enjoy a gratis fourth evening along with a slew of other perks, including complimentary valet parking and access to The Ritz-Carlton Club Lounge for sundowners and bites overlooking the sparkling Pacific. 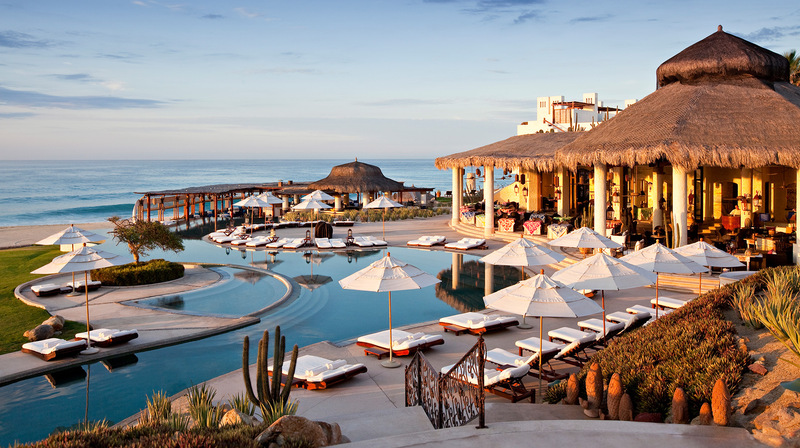 You and the ladies can escape winter’s chill in sumptuous style when you book the Ultimate Girlfriends Getaway from Forbes Travel Guide Five-Star Las Ventanas al Paraíso, A Rosewood Resort. With this Los Cabos retreat’s promotion, you’ll enjoy round-trip airport transfers, daily breakfast, a gift card for a bespoke shopping experience and a posh pajama party that comes complete with mani/pedis, blowouts, champagne and canapés. Don’t worry about messing up your nails with selfies — your dedicated butler will be on hand to snap all the photos you need. 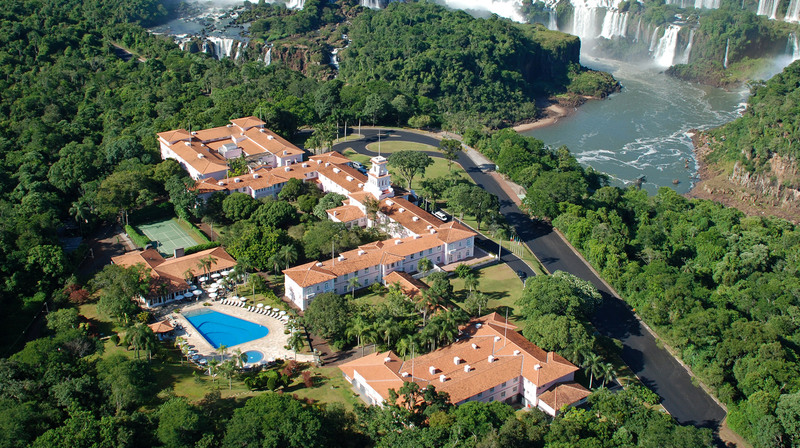 Subject to specific room category availability at time of reservation. Blackout dates may apply. 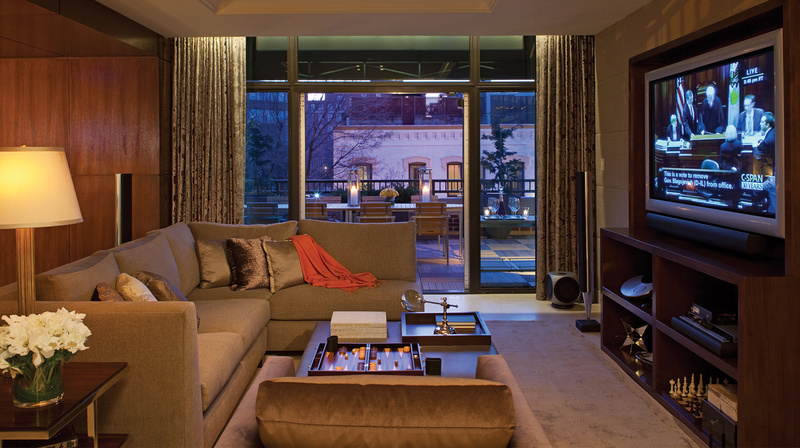 Have A Cozy Winter Getaway In D.C. 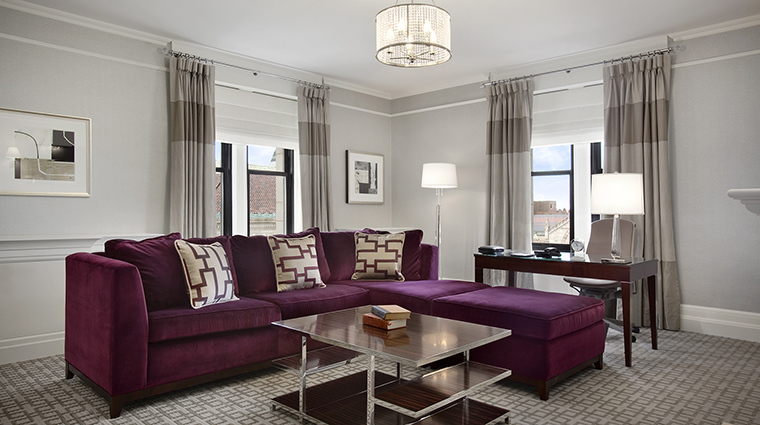 Celebrate the season in historic Georgetown with a visit to the chic Forbes Travel Guide Five-Star Four Seasons Hotel Washington, D.C. Book this grand dame’s Advance Purchase offer to receive 20 percent off your spacious accommodations. Use those savings to treat yourself to a night at Bourbon on Ice, the coziest of winter dining experiences under a heated dome at the property’s Forbes Travel Guide Recommended Bourbon Steak DC. 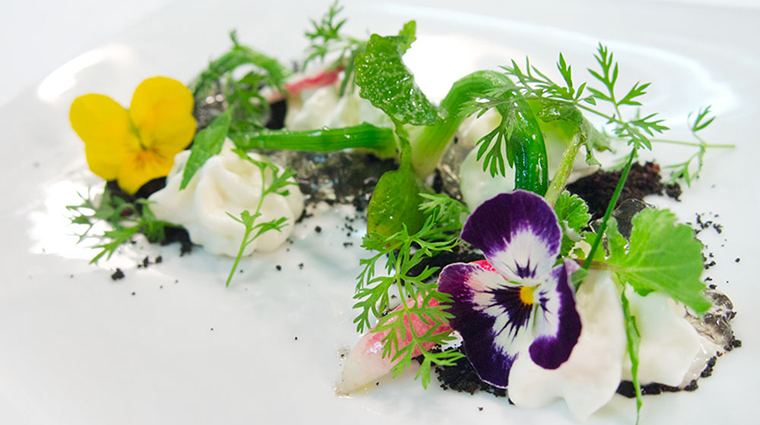 Savor the flavors of California’s Central Coast at the European-inspired L’Auberge Carmel. A longtime foodie favorite, this Forbes Travel Guide Four-Star cottage’s Carmel Culinary Package allows you to sample executive chef Justin Cogley’s gourmet goods in sumptuous style. The one-night retreat at the chic inn comes complete with a wine-paired dinner for two and Aubergine’s signature breakfast spread the next morning. The Big Apple is magical during winter. 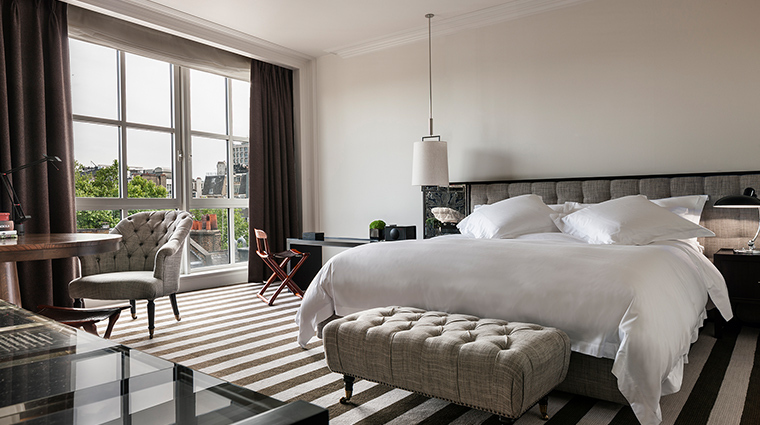 Take a stroll or carriage ride through snow-dusted Central Park and top it off with a sumptuous stay at Forbes Travel Guide Five-Star Park Hyatt New York, a gorgeous gem just steps from the city’s famed green space. 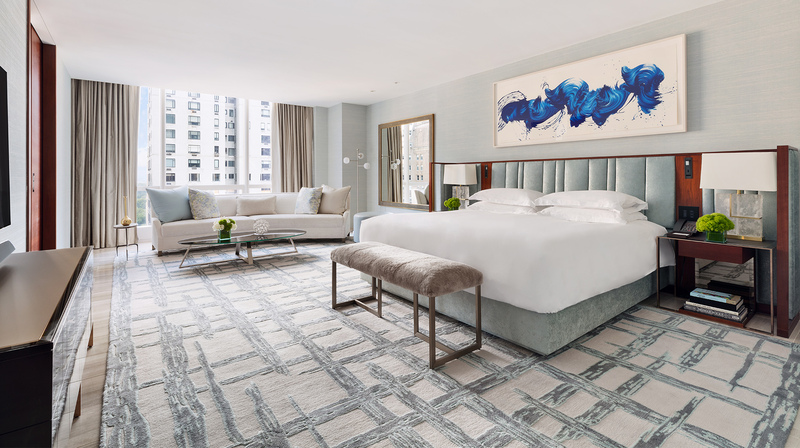 Plan a two-night getaway at this Midtown hotel and enjoy a complimentary third evening — the perfect way to savor one more NYC snowfall. 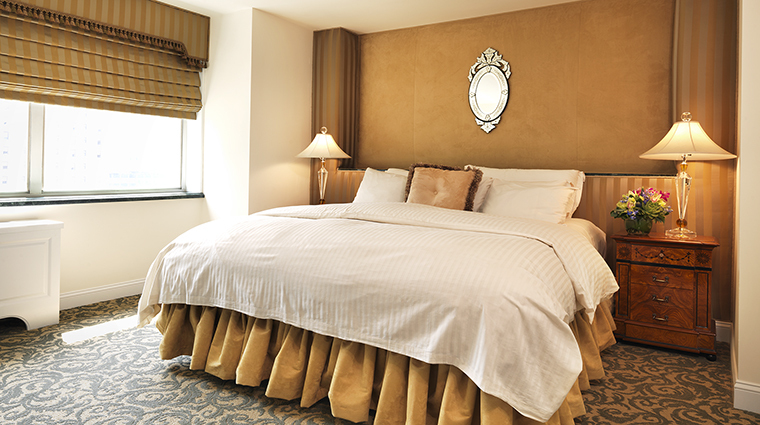 Treat yourself to some well-deserved post-holiday R&R at a Philadelphia classic, The Rittenhouse. Experience the recently revamped accommodations at this Forbes Travel Guide Four-Star stay with The Rittenhouse Renewal Package and enjoy deluxe bath amenities, a luxury sleep kit (two sleeping masks and a soothing pillow mist), a $100 food and beverage credit for some elegant room service (or brunch at Four-Star Lacroix), and late checkout so you can linger a little longer. Based on availability. Blackout dates may apply. Hotel credit must be redeemed during stay. 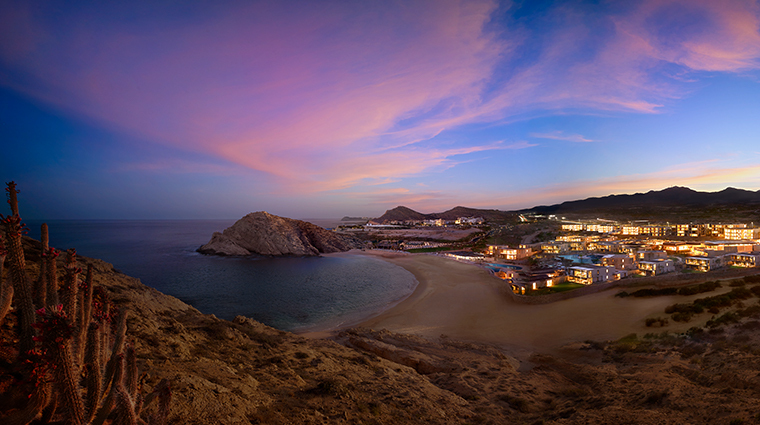 Escape winter’s chill with a sun-drenched escape to Cabo San Lucas’ The Resort at Pedregal. 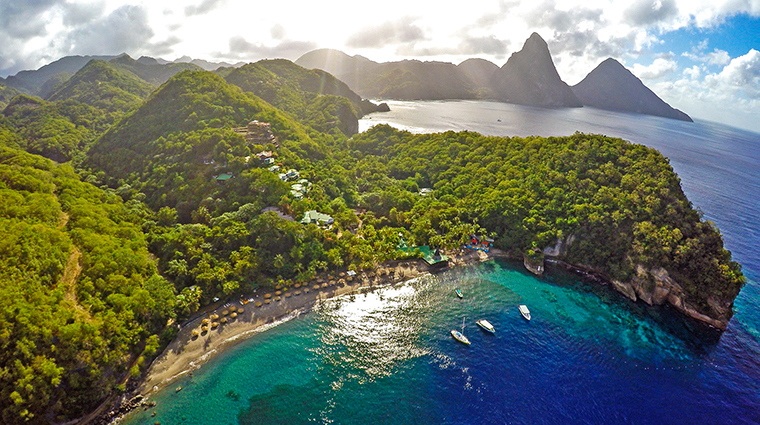 Book the Forbes Travel Guide Five-Star retreat’s Holiday Special 2018 to receive 10 percent off your beachfront accommodations, daily buffet breakfast at Don Manuel’s (try the huevos rancheros), round-trip airport transfers and a festive welcome lunch at Crudo Bar or Beach Club, inclusive of gratis margaritas to kick off your vacation in style. Boston is beautiful all year long, but it’s hard to beat the allure of the Hub come wintertime when the Common is dusted with snow. Explore this extremely walkable city from a stylish home base when you check into Forbes Travel Guide Recommended Fairmont Copley Plaza. 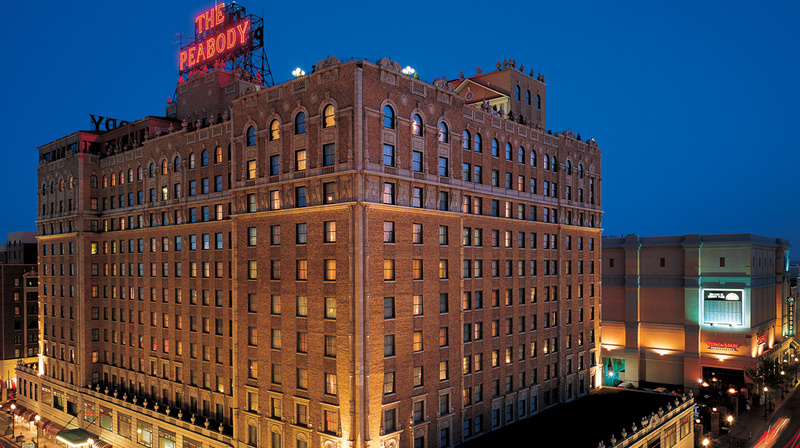 The hotel’s Third Night Free offer grants you three evenings on the exclusive Fairmont Gold floor (inclusive of gratis breakfast, snacks and wine) for the price of two. 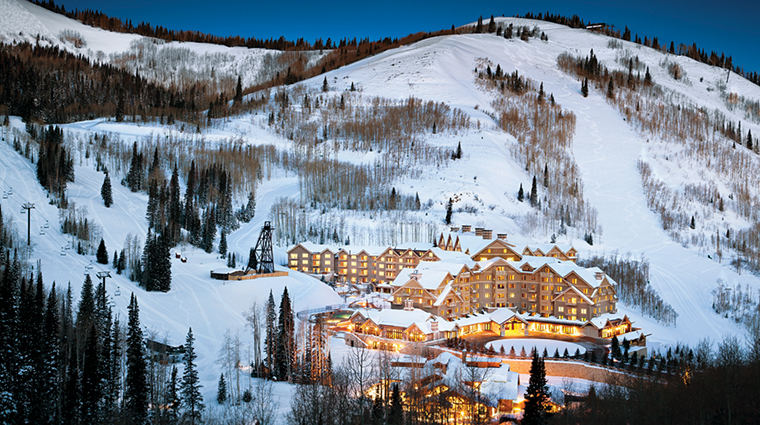 Splurge on the ultimate ski escape with a getaway to Forbes Travel Guide Five-Star Montage Deer Valley. Take advantage of the resort’s Stay and Play for Winter offer to experience five nights in a rustic-chic room and receive a $500 credit to use on après-ski cocktails, a muscle-melting massage at the Four-Star spa, hearty mountain cuisine at farm-to-table restaurant Apex or however else you please. Offer valid for travel January 5 to 23, February 4 to 12 and February 19 to April 6. Enter promo code: STAY. 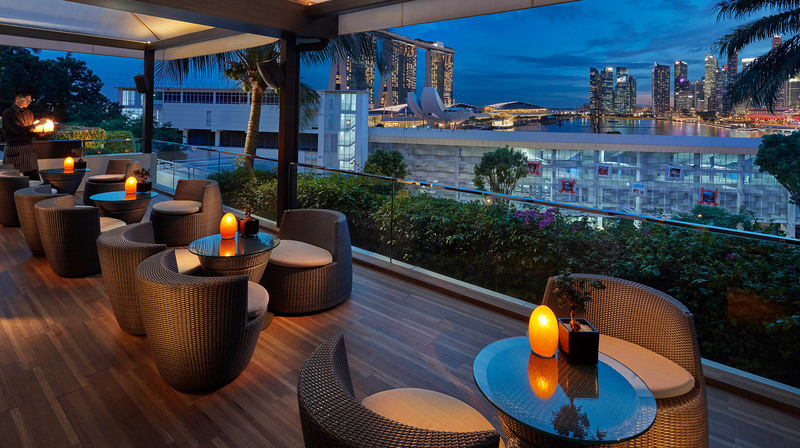 Savor spectacular flavors and Marina Bay views when you book the Singapore Food Trail experience at Forbes Travel Guide Five-Star Mandarin Oriental, Singapore. In addition to a a spacious waterfront suite boasting floor-to-ceiling windows, you’ll also enjoy an array of mouthwatering extras, such as a sweet treat upon arrival, a visit to Tiong Bahru Market and Food Centre with executive sous chef Eric Tan, an interactive cooking class to learn how to make rojak (a traditional vegetable and fruit salad) and a 60-minute Pandan Bliss body treatment at the stunning Five-Star spa. 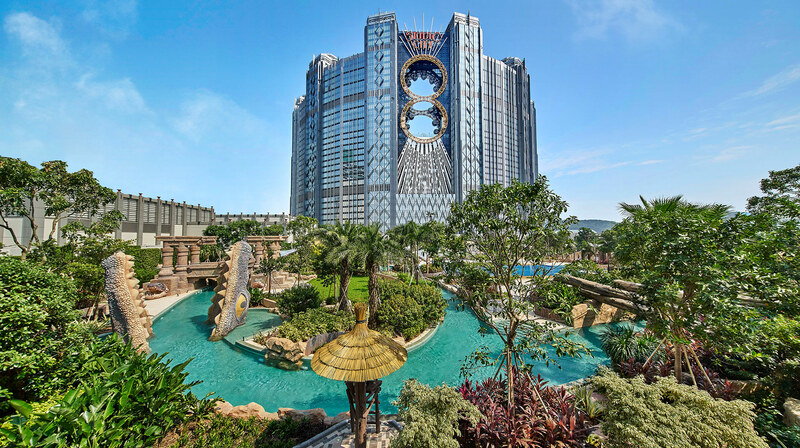 Home to a rooftop lazy river, a palatial luxury shopping promenade and the world’s highest figure-eight Ferris wheel, Forbes Travel Guide Five-Star Star Tower at Studio City Macau is larger than life. But the Cotai Strip stay takes relaxation seriously, too. Book a three-night getaway at the posh property and receive a $150 credit to its Four-Star Zensa Spa so you can escape the immense gaming floor with a muscle-melting massage and then retreat to a luxurious Star Premier Suite Room. The spa credit is only available treatments and not for products. Unspent credits will not be refundable. Subject to availability. A member of Forbes Travel Guide’s esteemed Verified List of 2018’s World’s Most Luxurious Hotels, Nüwa Macau considers your relaxation as one of its highest priorities. 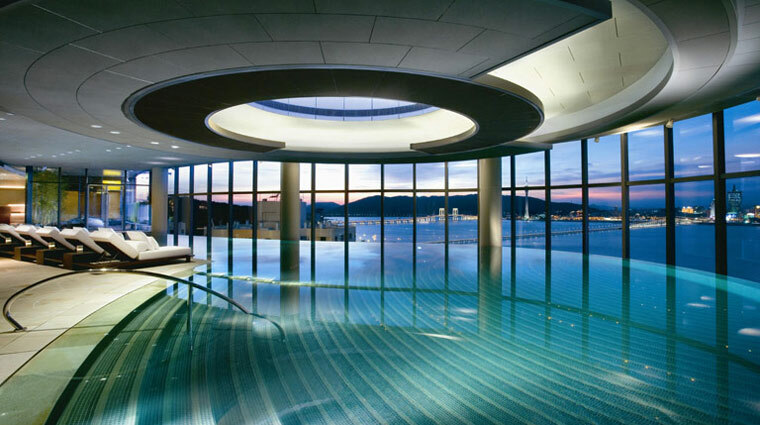 But in the event the Five-Star property’s amenity-filled rooms, host of restaurants and state-of-the-art gym aren’t enough to help you fully unwind, its latest overnight offer — stay three evenings and get a $150 credit to the Five-Star Nüwa Spa — should do the trick. The spa credit can be used toward treatments, not products. If the credit is unused within the stay period, the benefit will be forfeited. Boasting four championship-caliber greens, a lavish spa and an array of sparkling pools, Forbes Travel Guide Four-Star Trump Nation Doral Miami offers endless ways to relax. To make luxuriating a little easier, book the hotel’s Best of Doral Package for perks like gratis breakfast for two, late checkout and a $50 resort credit to use on a dry-aged steak at BLT Prime, a private tennis lesson, a spa treatment, some poolside refreshments or however else you choose. Any unused credit may not be combined and/or rolled over to following day. 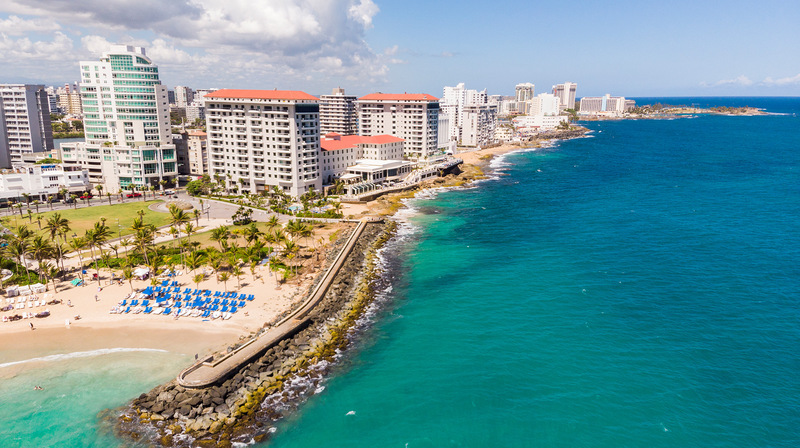 Forbes Travel Guide Four-Star Condado Vanderbilt Hotel turns 100 this year and wants you to celebrate this milestone in style. 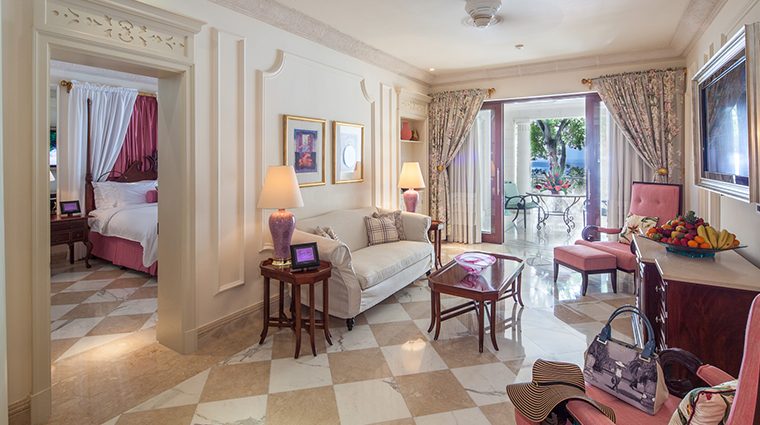 Book the San Juan icon’s Since 1919 Centennial Package to stay in a spacious suite (complete with butler service) and receive extravagant extras like a $100 food and beverage credit, a $100 tour voucher and a 100-minute Vanderbilt Signature Massage and Facial at the resort’s Four-Star spa. Three-night minimum stay. Blackout dates and restrictions may apply. 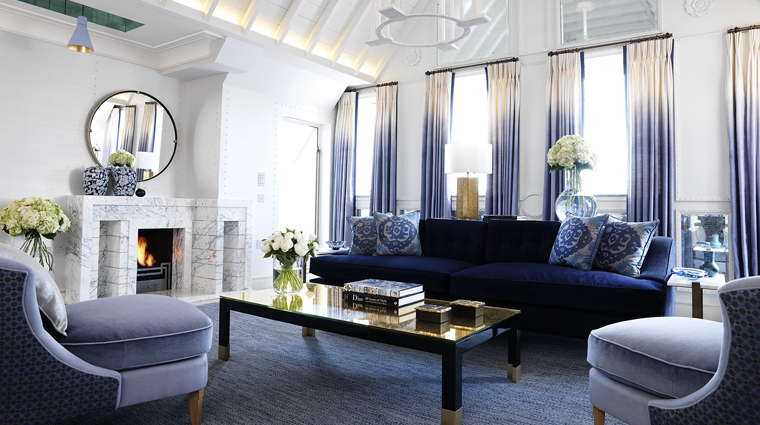 Escape to London’s fashionable retreat, The Berkeley, this spring. 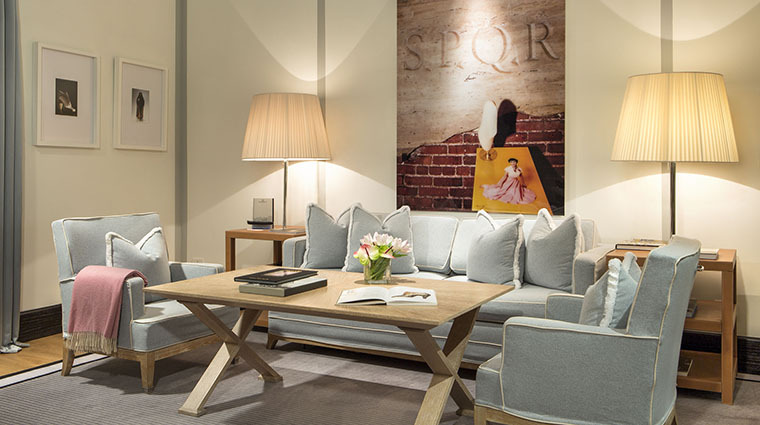 Spend even more time perusing the racks of the neighboring Harvey Nichols, Harrods and Sloane Street’s boutiques when you take advantage of the Forbes Travel Guide Four-Star hotel’s Stay Four Longer offer: book a three-night stay and enjoy an extra gratis evening. 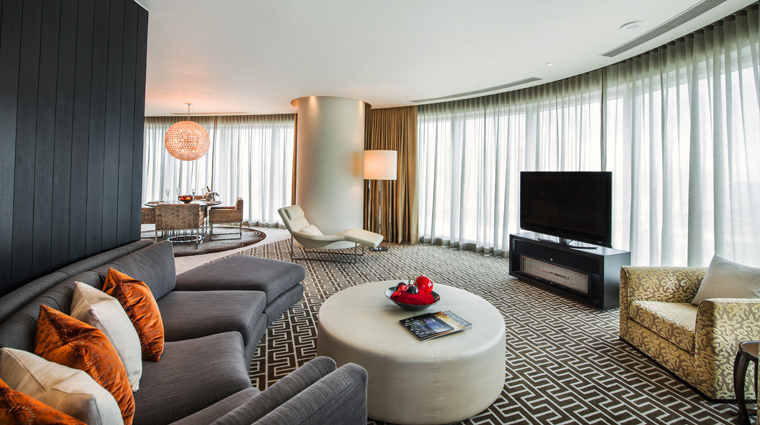 After your shopping, lounge by the city’s only rooftop pool and wander through the fragrant Secret Garden. Take your time with City of Dreams' myriad delights (380-table casino, interactive play spaces and show-stopping entertainment) when you reserve Forbes Travel Guide Five-Star Nüwa Manila’s Third Time’s The Charm offer. 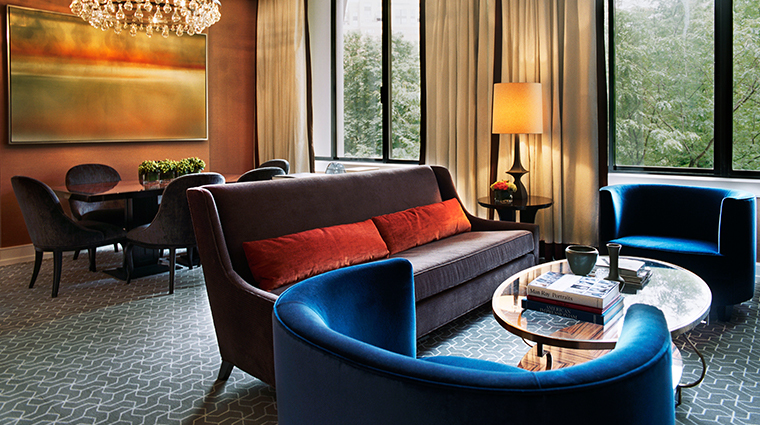 Book a two-night getaway to this ultra-luxe urban escape and earn a complimentary third evening. 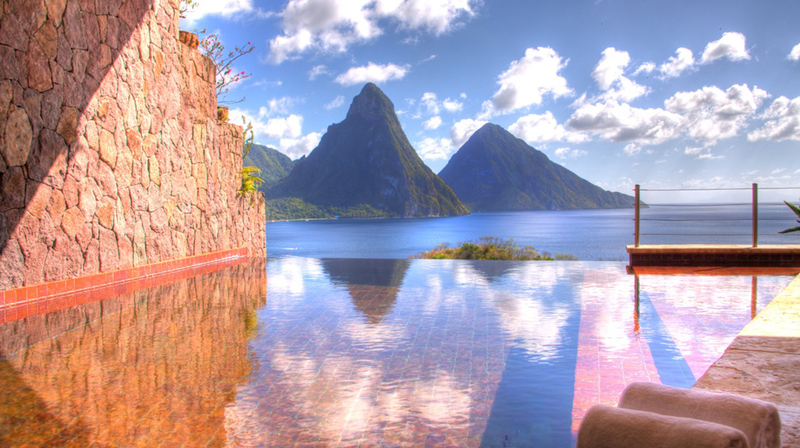 Spend your extra day luxuriating at the Four-Star spa, dining at the elegant Tasting Room or simply wandering around the massive resort complex. Two-night stay minimum. Blackout dates apply. 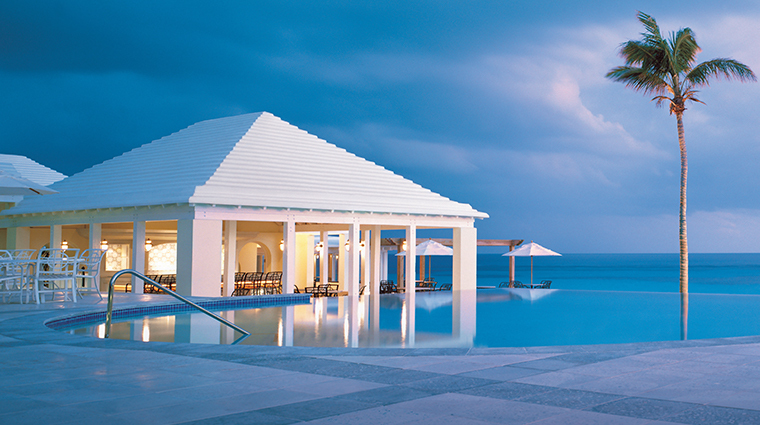 Escape winter’s chill with a well-deserved getaway to The Ocean Club, A Four Seasons Resort, Bahamas. Linger longer in paradise with the picturesque property’s Stay Longer — Fourth Night Free offer: book a three-night getaway and be rewarded with a complimentary fourth evening. Spend those extra hours indulging in a massage at the Bali-inspired spa, teeing up on the Tom Weiskopf-designed golf course or just lazing around one of the hotel’s three sparkling pools. 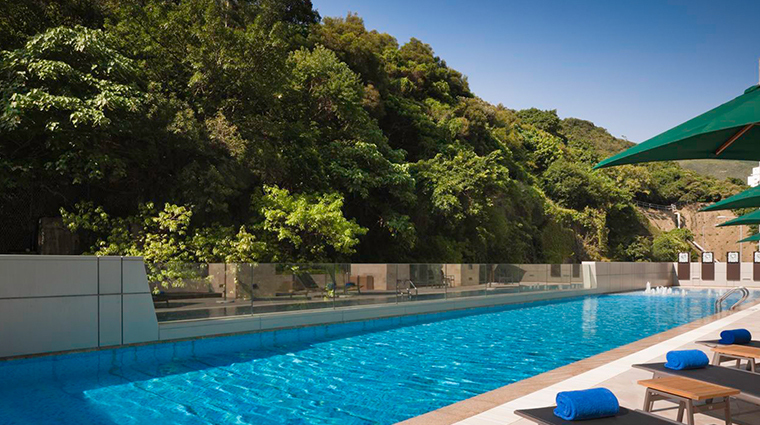 Start planning your spring break adventure to Hong Kong’s L'hotel Island South by taking advantage of the Forbes Travel Guide Recommended property's advance booking offer. Reserve your warm-weather escape 45 days ahead of time and enjoy up to 35 percent off accommodations at this scenic south side stay. 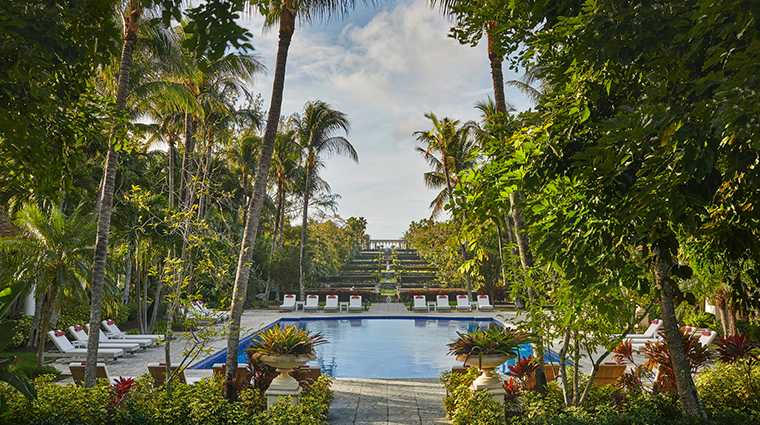 Make the most of your secluded locale by lounging around the foliage-flanked pool, dining at the beloved Lis Café or toasting at the relaxed Bar Lis. 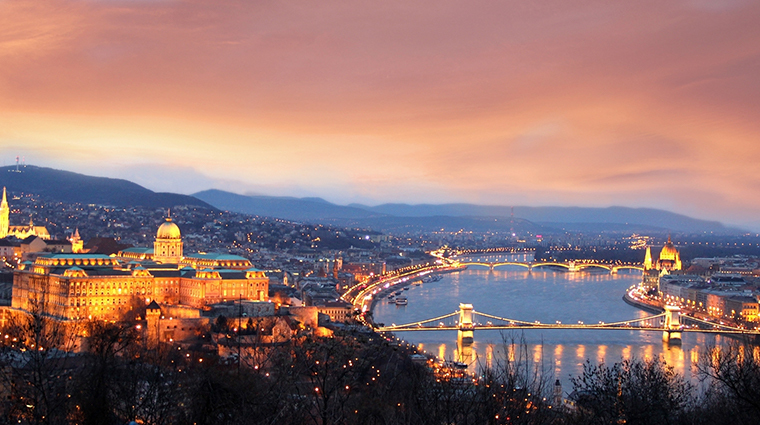 Spring for a warm-weather adventure in beautiful Budapest. 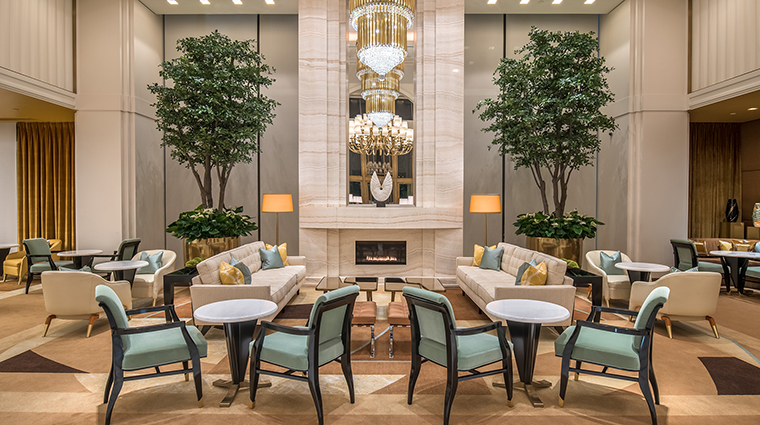 Book your escape at Forbes Travel Guide Four-Star Kempinski Hotel Corvinus Budapest and receive up to 25 percent off your stay with the downtown property’s Spring or Summer Escape offers. 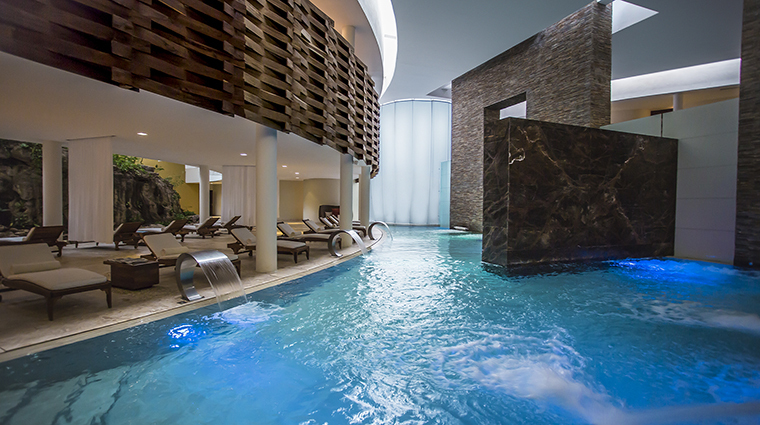 Use those savings to splurge on contemporary Austro-Hungarian cuisine at És Bisztró or get an aromatic treatment at the serene spa between urban adventures. The Spring Escape is valid between March 30 and April 26 (Easter period excluded) and the Summer Escape is valid between July 1 and August 25 (Formula One Weekend period excluded). Three-night stay minimum required. The map insists that Vienna is more than 1,200 miles from Sicily. But with The Ritz-Carlton, Vienna’s new Art of Aperitivo package, the two destinations have never been closer. Experience the Mediterranean island from your Forbes Travel Guide Four-Star hotel in the form of a Negroni-crafting lesson; a $100 credit toward a meal with one of Sicily’s most beloved chefs, Ciccio Sultano; a luxurious two-night stay; and more. 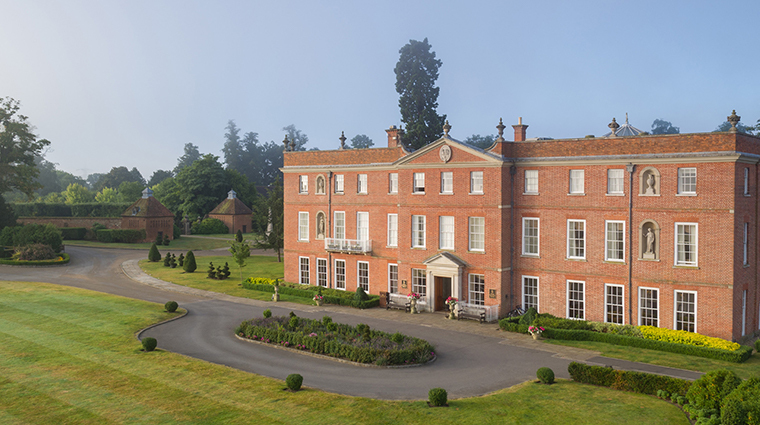 Enjoy an elegant escape to the English countryside with the Stay & Fine Dine Mews Offer from Sopwell House. 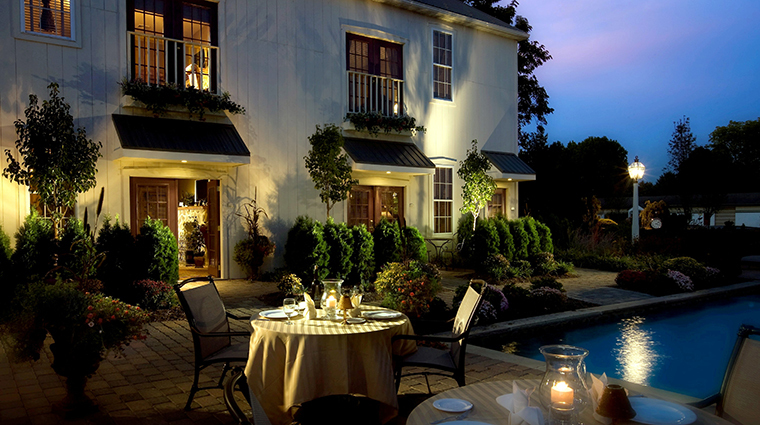 Check into this St. Albans hideaway to savor an extra-exclusive stay in one of the 16 Mews Suites (found behind private gates, separate from the main hotel with a shared hydropool) that comes complete with either cozy fireplaces or hot tubs, plus dinner for two at The Restaurant and breakfast the next morning. Elevate your spring plans with a holiday-themed package from Forbes Travel Guide Recommended hotel The Arch London this April. 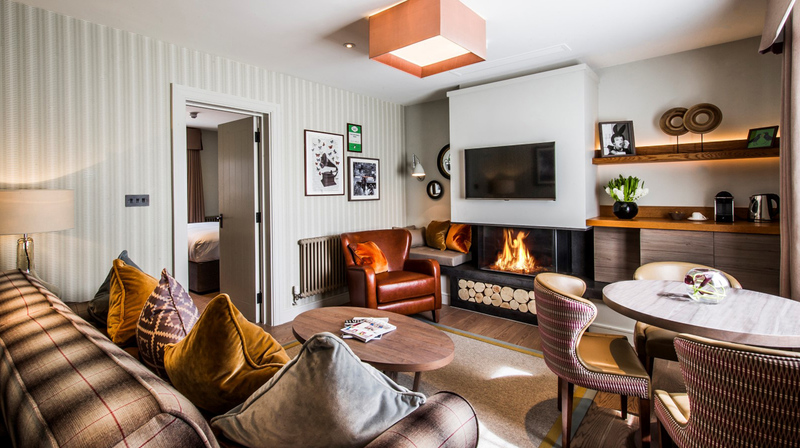 Opt for the boutique hotel’s Easter Family Fun offer to experience a full English breakfast for your crew followed by an in-room egg hunt and an array of kid-friendly extras come bedtime, like milk and cookies, a pint-sized robe, slippers and a selection of goodies from the property’s toy box. 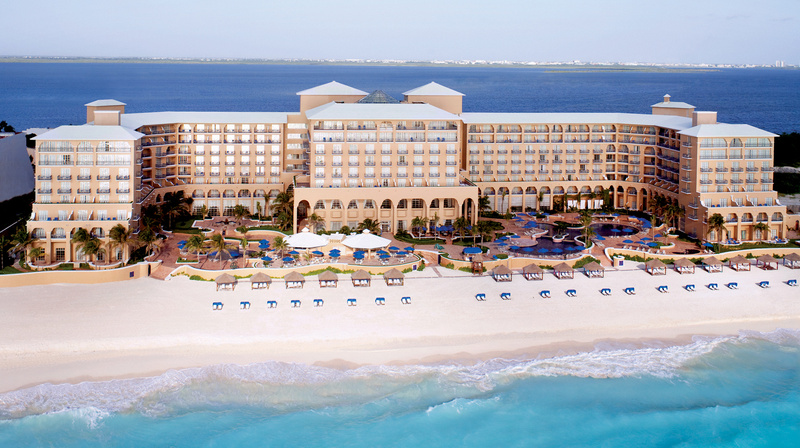 Celebrate spring with a chic beachside escape at Forbes Travel Guide Five-Star The Ritz-Carlton, Cancun. Linger among the sun-drenched sands with the coastal retreat’s Stay Longer With Us, an offer that delivers up to 40 percent off your airy accommodations and gratis alfresco breakfast at El Cafe Mexicano when you stay at least three nights. Spend those savings on an indulgent afternoon at the Four-Star spa or on a splurge-worthy Mediterranean meal at Fantino. 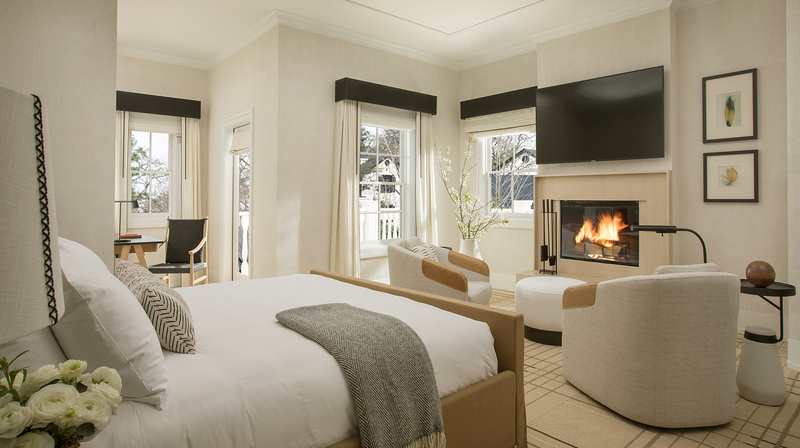 Situated on six verdant acres in the heart of Sonoma wine country, the re-envisioned MacArthur Place hotel offers natural luxury and farmhouse charm at every turn. 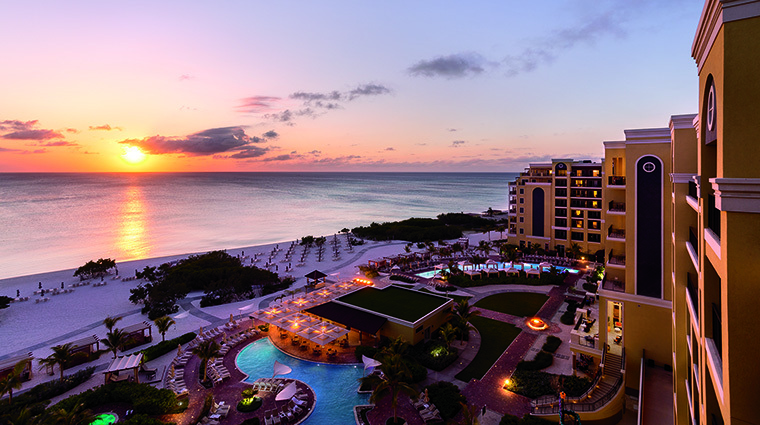 With the property’s Getaway at MacArthur Place promotion, you’ll sample it all by earning a $300 resort credit with a three-night stay in a Premium room. Those funds can go to an indulgent treatment at The Spa at MacArthur, fireside cocktails at The Bar at MacArthur Place or mouthwatering Mediterranean dining at Layla. Savor an adults-only escape this spring when you head for the jaw-dropping cliffside retreat of Casa Chameleon at Las Catalinas. Enjoy 30 percent off three nights or more at this Costa Rican hideaway. Though, with Casa Chameleon’s private pool-clad villas, gorgeous hilltop restaurant and array of adventures, you may never want to leave. Use the promo code ESCAPE19. 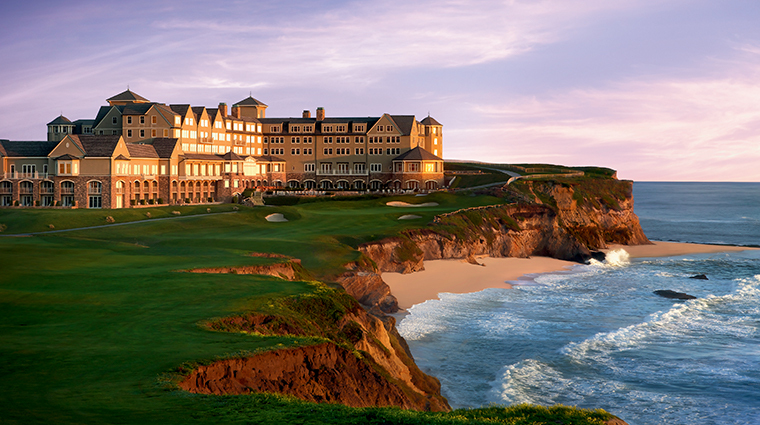 Just 30 minutes from San Francisco, The Ritz-Carlton, Half Moon Bay is a secret retreat prime for adventure. Properly explore this scenic clifftop enclave with the Forbes Travel Guide Four-Star stay’s Discover Half Moon Bay offer. With the package, you’ll enjoy a visit to Purisima Creek Redwood Preserve (gourmet picnic lunch included), take a glass-blowing class for two at Le Nebbia Winery and receive a $100 resort credit to help you unwind with delicious dining or serene spa treatments. 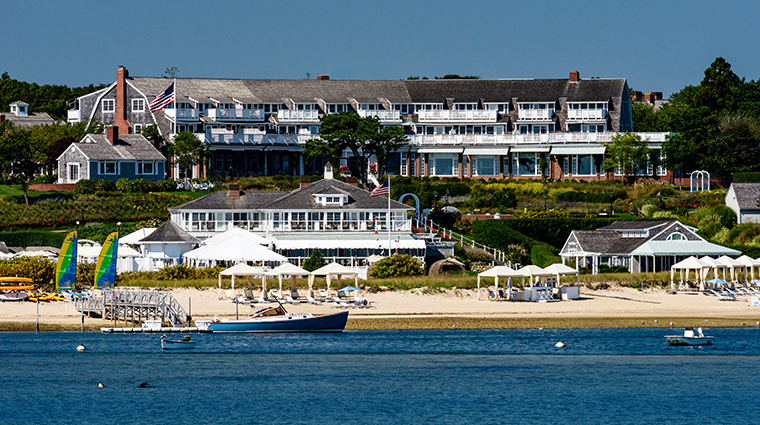 Experience the best of Northeastern hospitality with the City Luxury and Coastal Retreat offer from Chatham Bars inn Resort and Spa. Enjoy a two-night retreat at this picturesque Cape Cod escape, which includes extras like welcome champagne, a handcrafted candy lighthouse and daily breakfast for two. Be sure to squeeze in a walk on the beach before heading to Boston for two additional evenings at another boutique hotel favorite, the elegant Four-Star XV Beacon. 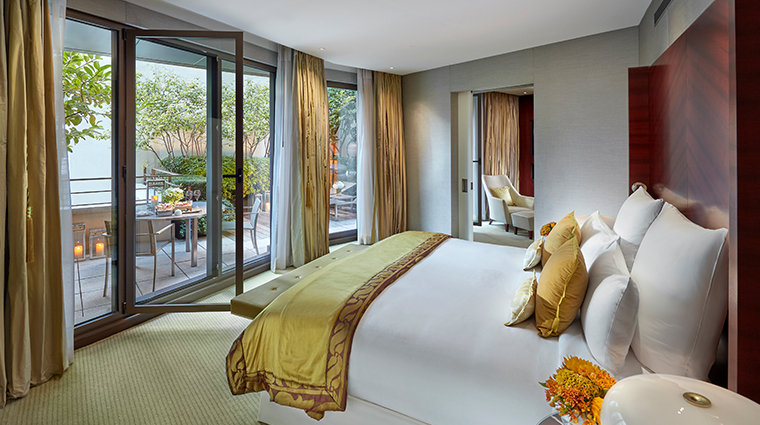 Linger longer in lakeside luxury with Forbes Travel Guide Four-Star Beau-Rivage Genève’s Stay 4 Nights Pay for 3 offer. Book a three-night escape and enjoy a gratis fourth evening in a sumptuous lake-view room. 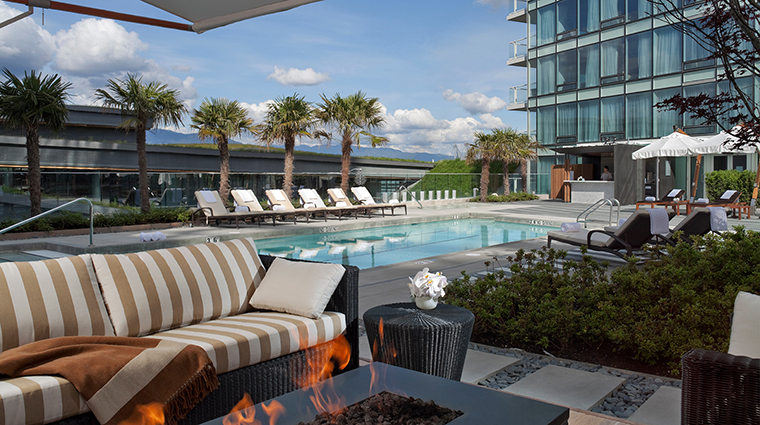 Use those extra hours to stroll through nearby Geneva (just a 15-minute walk away), dine on fine Thai cuisine at Patara or simply sip tea on the picturesque La Terrasse overlooking the waterfront. 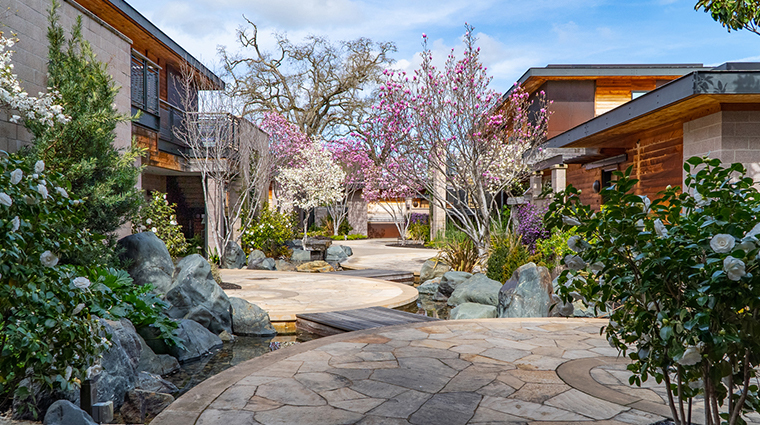 Celebrate spring, Napa-style, with Forbes Travel Guide Four-Star Bardessono Hotel and Spa’s Rosé All Day offer. Savor the season’s favorite sip with spa-like accommodations (massive soaking tubs are extra sumptuous), a chilled bottle of Silver Trident Rosé, a cheese plate upon arrival and a pink-wine-themed turndown amenity to help you unwind after a day of exploring the verdant, five-acre resort. Linger longer in sumptuous seclusion when you check into Velaa Private Island this summer. Book the Maldives resort’s Stay 7 Pay 5 offer and enjoy two gratis nights in your spectacular beachfront villa and its picturesque private pool. Use those extra hours to soak in tropical sunsets, glorious golf, endless watersports and succulent seafood specialties, or simply laze the days away on the postcard-worthy white sands. Valid for stays from May 15 to October 15. Applicable to all villa categories except Beach Pool Villa and Sunrise Water Pool Villa. 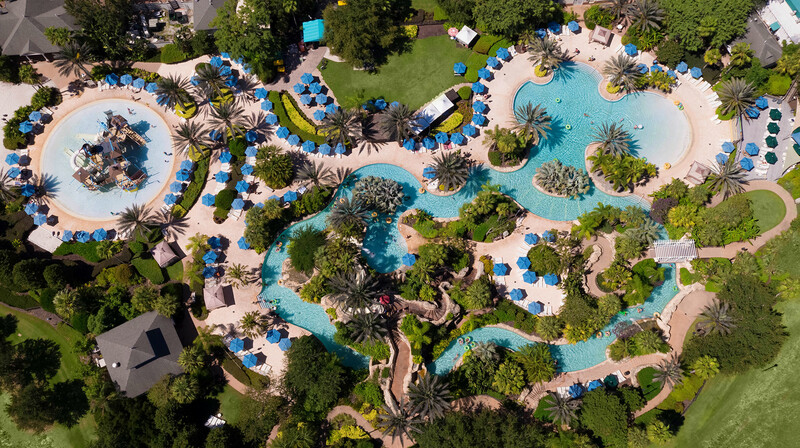 When it comes to summer fun, there’s nowhere quite as magical as Orlando. 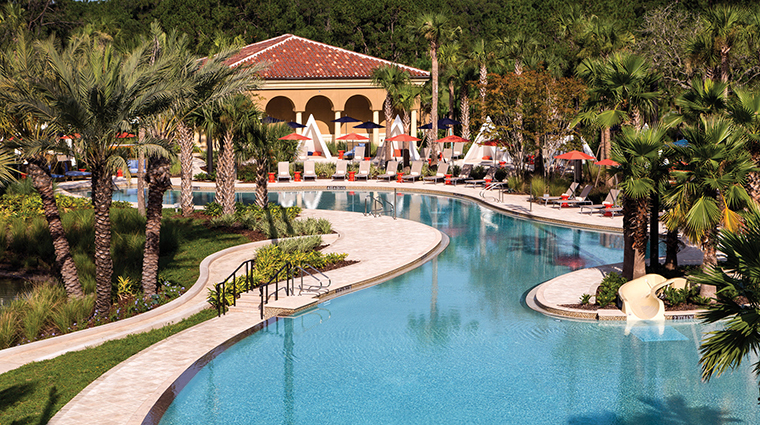 With its five-acre waterpark, 18-room spa and proximity to Disney theme parks, Forbes Travel Guide Four-Star Four Seasons Resort Orlando at Walt Disney World Resort provides the perfect destination for the whole family. Book the 26-acre property’s Stay Longer—Fourth Night Free offer to linger a little longer among the Florida sunshine. There’s nowhere quite like London during Wimbledon season. From July 1 through 14, head for Forbes Travel Guide Four-Star The Egerton House Hotel to experience the excitement, VIP style. 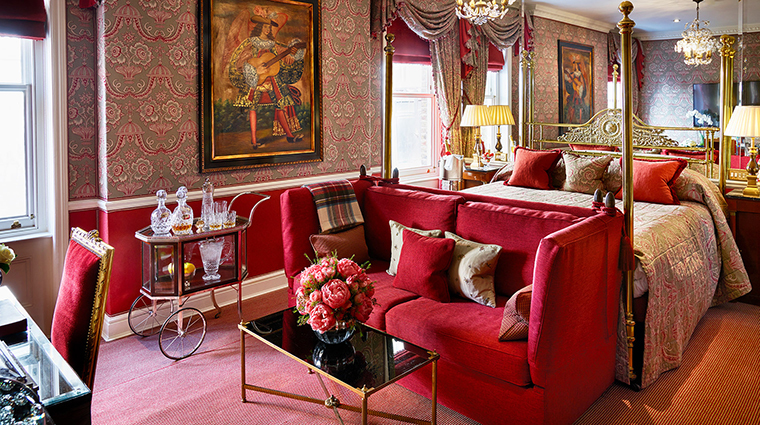 Check into the Knightsbridge retreat to enjoy two nights in a Victorian-inspired room, daily English breakfast and a slew of Wimbledon-themed perks, including Centre Court tickets, access to an exclusive lounge during the matches and a refreshing Pimm’s cocktail upon arrival. Subject to availability and booking terms and conditions. A showstopping night out awaits at Forbes Travel Guide Five-Star Waldorf Astoria Beverly Hills where A Night Of The Arts package promises to keep you entertained all evening long. The ovation-worthy offer includes one night in a sumptuous corner junior suite, prix fixe dinner for two at Four-Star Jean-Georges Beverly Hills and round-trip transfers to the Wallis Annenberg Center for the Performing Arts, where you’ll take in the theatrical performance du jour, such as a stage adaptation of Black Beauty or the thought-provoking Identity: The Musical. While you may be tempted to laze the days away on Forbes Travel Guide Four-Star Grand Velas Riviera Maya’s white sand beaches and multi-tiered pools, a trip to the resort’s Four-Star, two-story spa is a must. Book a retreat at this tropical property and enjoy a $50 credit to use toward sumptuous services, such as The Bacal Massage (a Mayan-inspired corn and honey exfoliation) or the signature eight-station Water Ceremony. 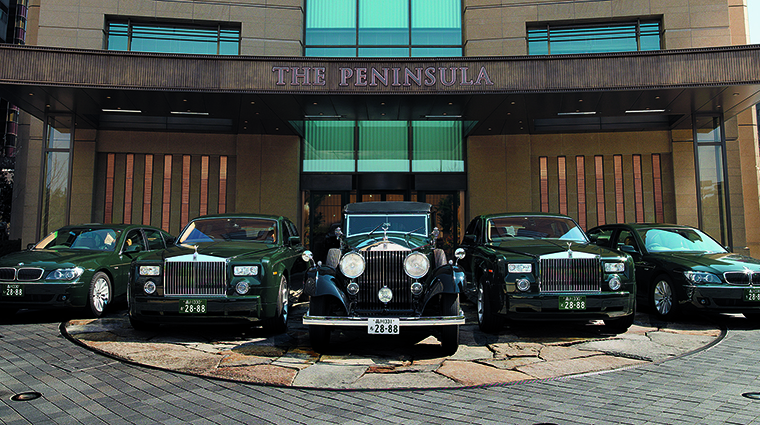 As one of 10 Peninsula Hotels to achieve a Forbes Travel Guide Five-Star rating, The Peninsula Tokyo is celebrating with an aptly named Forbes Five-Star Special Offer. 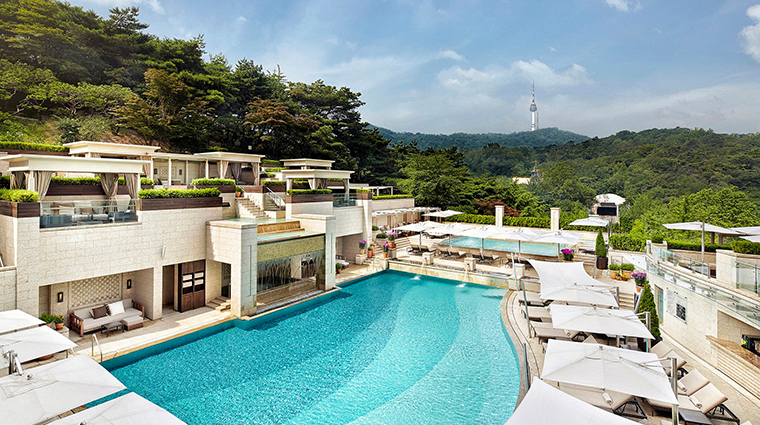 Get a taste of opulence with a gratis room upgrade, flexible check-in/checkout times, a Perfect 10 chocolate welcome amenity and a JPY5,000 (US$45) credit to spend on an ESPA facial at the Five-Star spa or on dim sum at the garden-inspired Hei Fung Terrace. The offer is not applicable to the Marunouchi, Hibiya and Peninsula suites. Subject to availability. 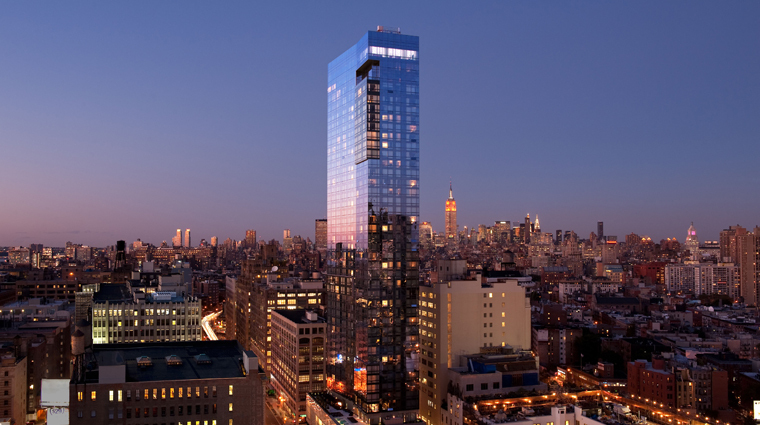 Linger longer along the Manhattan skyline when you book the Complimentary 4th Night offer at The Dominick. Plan a three-night stay at the Soho skyscraper and enjoy a complimentary fourth evening to spend lounging around your Fendi Casa-furnished 700-square-foot suite, browsing nearby boutiques (a complimentary Shopping Card grants you savings at neighborhood spots) or sipping sundowners at poolside Bar d’Eau overlooking the illuminated cityscape. Based upon availability and blackout dates apply. Available for suites only. 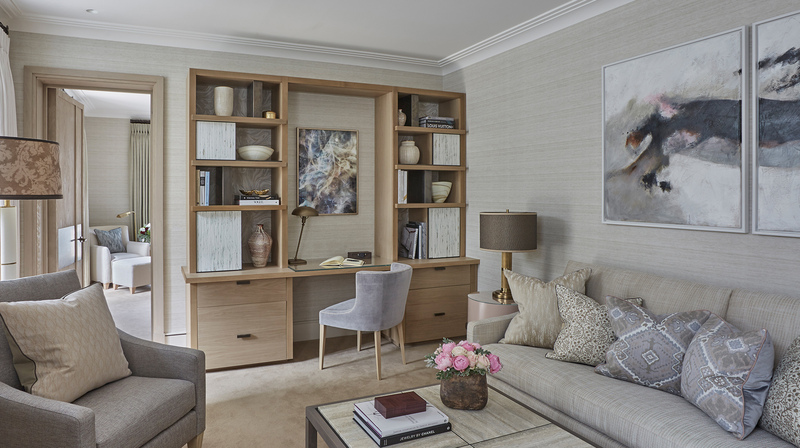 With its prime location steps from Covent Garden, the British Museum and the Royal Opera House, Forbes Travel Guide Four-Star Rosewood London provides a stylish home base from which to explore the British capital. Discover more of this English gem when you book the posh property’s More Rosewood — Complimentary 4th Night offer: plan a three-night retreat and enjoy a gratis fourth evening to spend savoring the Edwardian hotel’s stunning architecture. Take the stress out of wedding planning with a perfectly sized nuptial package from Forbes Travel Guide Four-Star The Inn at Leola Village. 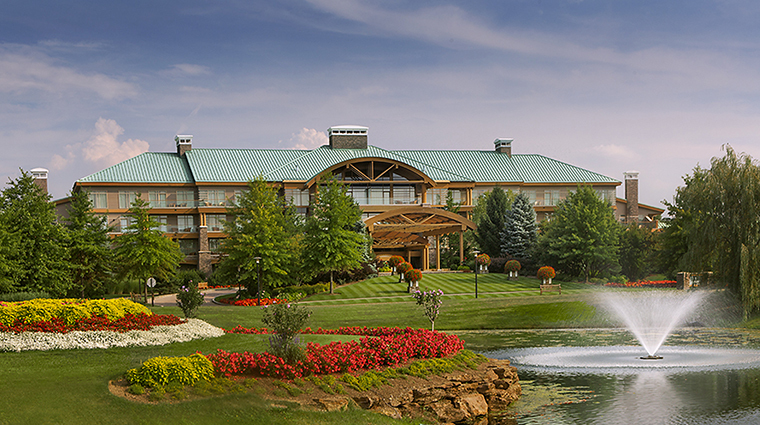 Book the rustic Pennsylvania resort’s My Tiny Little Wedding offer to enjoy a private ceremony site, a fully catered reception, a two-hour open bar for up to 30 guests, a custom-designed wedding cake and more all at the luxury hotel. Plan your special day before November 30 to also receive a gratis couple’s massage to soothe away those pre-wedding jitters. 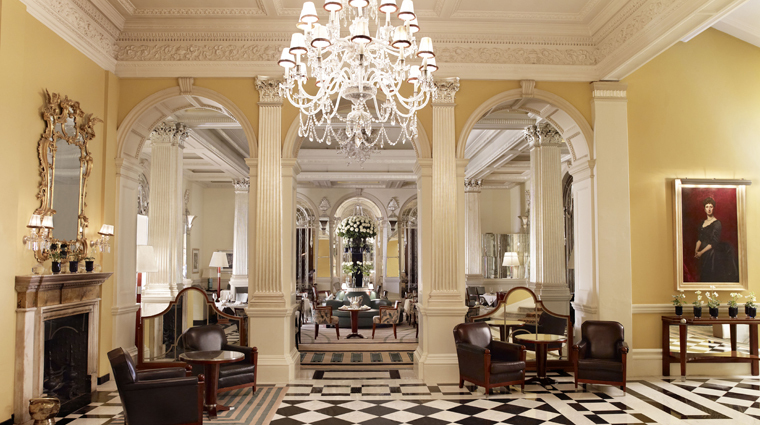 Experience spring in London's marvelous Mayfair neighborhood when you check into historic Five-Star Claridge's. Linger longer among the more than 160-year-old property's art deco elegance and popular Claridge's Bar when you take advantage of its Stay Four Longer offer: book a three-night escape and enjoy a gratis fourth evening, with complimentary Wi-Fi to boot. Subject to availability, blackout dates apply. Applicable to four consecutive nights.